The solution is simple to disable or enable (Turn Off/On )Task-Bar Thumbnail Preview of Windows in Windows 7 or Windows 8.1 / 8 or new Windows 10! 1.) ... Turn off or on Windows Taskbar Thumbnail via Registry Key! 2.) ... Disable or Enable Taskbar Thumbnails via Local Group Policy Editor! Info: After changes, Logoff and logon again or restart computer. 1.) Turn off or on Windows Taskbar Thumbnail via Registry Key! (Image-1) Disable Task-Bar Thumbnail Preview for Windows via Reg-Key! 2.) Disable or Enable Taskbar Thumbnail via Local Group Policy Editor! And navigate to User Configuration, Administrative Templates, Start Menu and Taskbar. Select enable to turn off the Task-Bar Thumbnails or disable to turn on Task-Bar Thumbnails in Windows. (Image-2) Disable or Enable taskbar thumbnails in Windows! (Image-3) Enable turn off Task-Bar Thumbnails! If you enable this setting the taskbar thumbnails will not be shown, and the system will use standard text for the tooltips in Windows 7 or Windows 8.1. If you disable or do not configure this setting the user will see the taskbar thumbnails in Windows 7 or Windows 8.1/8. Windows-7 - FAQ-107: How to disable Task-Bar Thumbnail Preview in Windows 7 (Turn Off/On )? 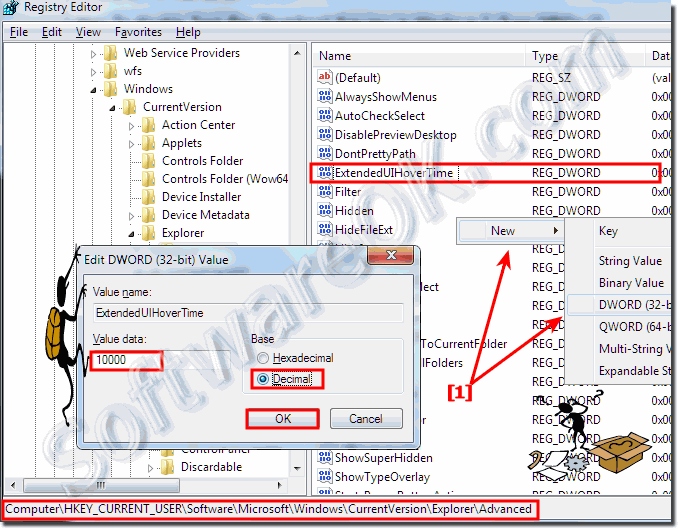 Switch to List View in Windows-7 and 8? The task bar preview makes me crease in Windows 8.1! ?